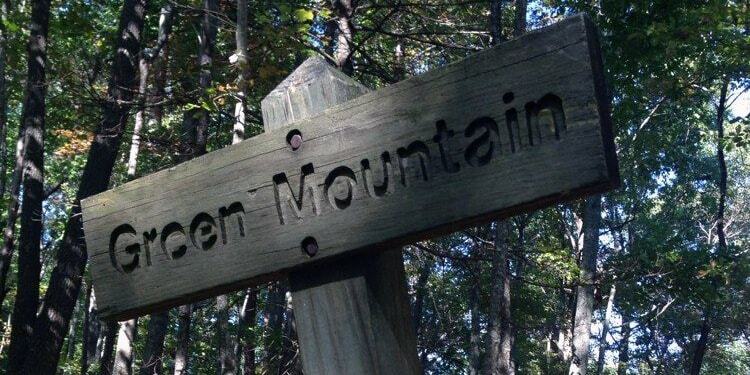 Green Mountain Trail is a 2.8 mile lightly trafficked loop trail located near Blue Ridge, GA and is good for all skill levels. 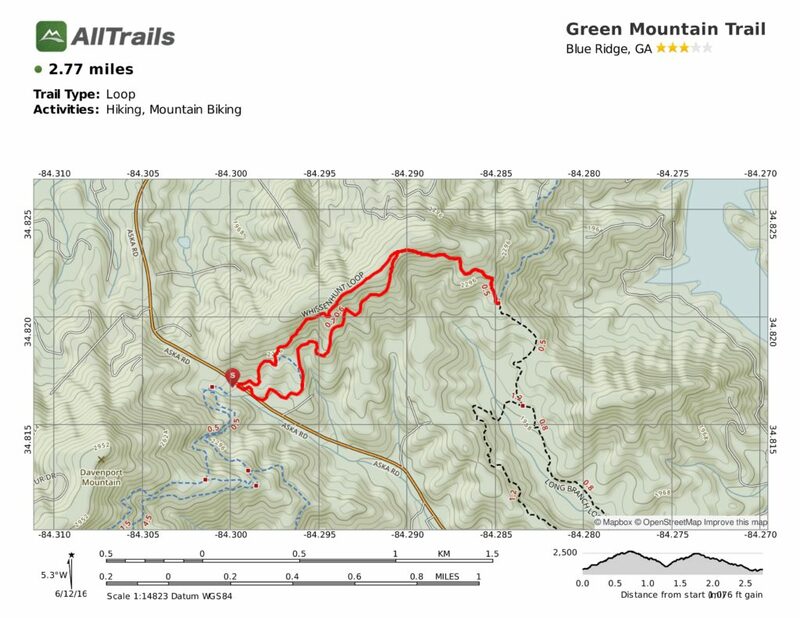 The trail is primarily used for hiking and mountain biking and is accessible year-round. The trailhead is on Aksa Road about 100 yard south of Deep gap. This trail begins at the gravel parking lot on the west side of the road. Visitors can also park in a small area near Stanley Gap on Rock Creek Road and hike the trail east-west from that end.